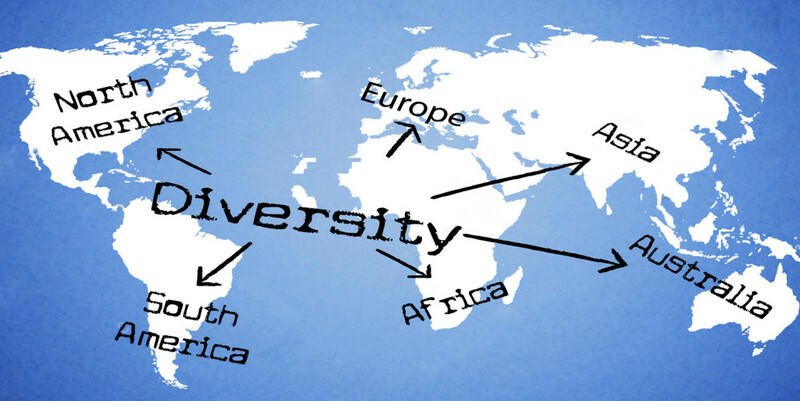 Cultural diversity isn't something alien to the global community since each nation has its peculiarities differentiating them from another. When it comes to business, the matter of international cooperation should be carefully revised. When you consider IT outsourcing to an offshore company, among the first points is the temperament and mentality of the potential clients or customers. For the past 20 years Ukrainian developers have proven to be reliable and patient specialists working to meet up the requirements from different customers and clients. Today, the It outsourcing sector is getting younger, since more and more youth decides in favor of the sector. The vast majority of current IT staff in Ukraine is somewhere near the age of 30. At this stage, a developer is usually viewed as a senior, as, by this time, an individual is already having 5+ years of experience which are great for IT outsourcing sector. Moreover, young people are not biased towards international cooperation unlike elderly people growing and following the fundamentals of the Soviet mentality. The desire to study combined with enthusiasm and great expectation is the background for good developers and specialists. The image of today's IT specialist includes flexibility, reliability, eagerness to improve one's skills in order to get greater results and leave the clients satisfied with the job done. Average specialists working in IT outsourcing sector is acquainted with the main requirements like signing NDA, in-time reporting on the work performed and results of a given day. Highly-skilled professionals comprehending the seriousness of the job will not allow the leak to occur. Since the image of a company means a lot, there is no chance for information being spread to the potential competitors. Ukrainian developers are known for •	being sticky to the minor points, hence if the job has not been properly accomplished, they will work up a sweat to reach the desirable result; •	searching the cheapest and most appropriate way to solve the task; •	reducing the number of contacts to a minimum, meaning they prefer discussing software and support related issues with the smallest amount of people so that to have a clear understanding of what should be done; •	keeping up with the latest trends; •	solving the task at the most reasonable price and revealing the product at the best quality; •	eagerly reducing their vacation period (usually taking up only a part of it by dividing the off period into several parts depending on the required terms of completing the project), sacrificing it for the sake of job; •	being time flexible, therefore, arranging a meeting at the off-job time is not a problem. Most Ukrainian IT specialists are introverts, that’s why the US or European clients sometimes feel uncomfortable, yet, this trade doesn’t influence the quality of work or terms of accomplishing it. Unlike their colleagues from Asia, Ukrainian IT outsourcers are result-oriented. They have to know where they are moving and what’s the final outcome should be, whilst Asians get more into the process and do what they are told as if they work under the guidebook. This peculiarity differentiates Ukrainians greatly since they are also motivated by the salary. For instance, the salary of the average junior amounts to $600, for middle, it grows up to $1500.